Dill has been named as the Herb of the Year for 2010. Dill is a hardy annual that self-seeds prolifically. It is native to western Asia, but is grown throughout the world. 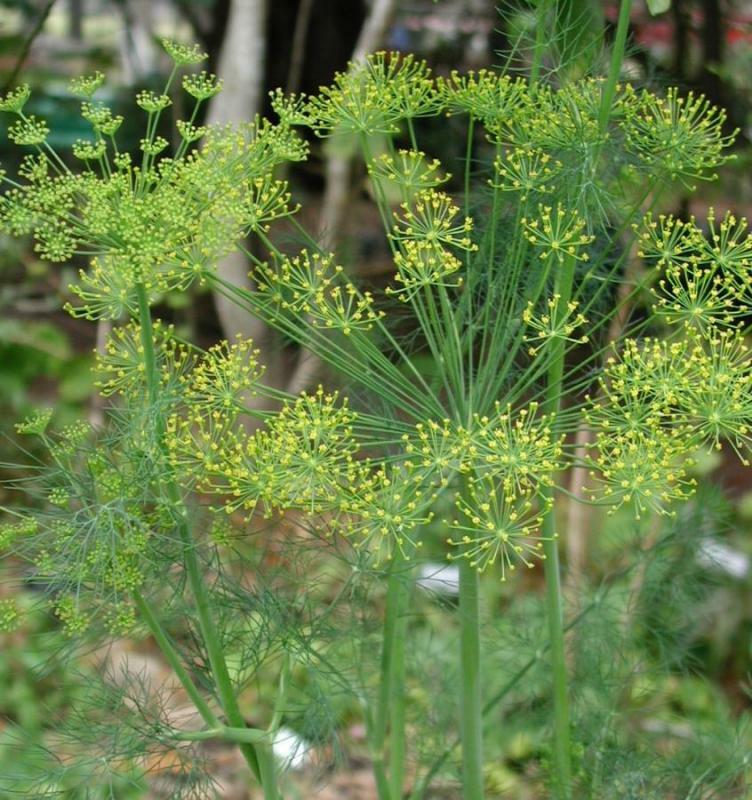 Dill grows best in full sun and can grow from 1 and 1/2 to 5 feet tall. The feathery leaves of the plant are called dill weed. Seeds develop at the top of the stem. Popular varieties include ‘Fernleaf’, ‘Dukat’, and ‘Bouquet’. This culinary herb is a favorite in Scandinavia. It is often used in pickling as well as flavoring salads, fish and vegetables.